Confused about how to select a food for your dog or cat? As a pet owner, you're bombarded with ads and advice - and not all of the information is reliable or even true. Here are five common myths about pet food. Dream dogs can take many forms, such as regal sighthounds, playful spaniels, watchful guardian breeds and companionable retrievers. And, sometimes, they can be a unique blend of many breeds! 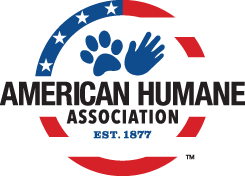 As the nation's voice for the protection of children and animals, American Humane Association reaches millions of people every day through groundbreaking research, education, training and services that span a wide network of organizations, agencies and businesses. Here are several tips you can follow to help keep your pet safe. Bunny Roo Beagle was inspired by my rescue dog, Bunny Roo. 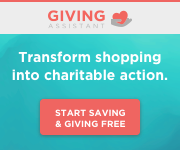 Here you find dog adoption information, dog treat recipes, dog care information, fun stuff and so much more! So sit back, grab a dog (or a cat) relax and enjoy! Woof! Dogs are considered the definitive host for heartworms ( Dirofilaria immitis). 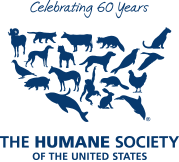 However, heartworms may infect more than 30 species of animals (e.g., coyotes, foxes, wolves and other wild canids, domestic cats and wild felids, ferrets, sea lions, etc.) and humans as well. The Small Animal (dogs and cats) Fund, created by Mrs. Capper Thompson, was established as a memorial for Chris Stehouwer, a Texas A&M University student and animal-lover, who was killed in a tragic accident. Mrs. Thompson knew this fund was the perfect way to help both sick animals in need and provide training for veterinary students. She realized there was little educational value in Texas A&M University veterinary students euthanizing pets that could otherwise be treated, so she established this remarkable tribute. You're probably already aware of the risks posed by warm weather and leaving pets in hot cars, but did you know that cold weather also poses serious threats to your pets' health? Here are some tips to keep your pets safe during cold weather. 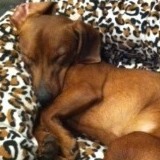 My name is Link and I love Wiener Dogs; this site is dedicated to them. This site offers tons of information about Wiener Dogs in general and acts as a portal to lots of wonderful, Dachshund gifts, treasures and, collectibles. 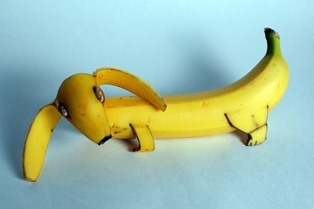 There is also dachshund humor, videos, photos, art and, much more! With more pet friendly housing options than other online sites Every Last Apartment Houston and Everything Austin Apartments can help pet owners keep their animal companions or bring home new ones to a safe, pet friendly living space! Humans are well-versed in the need for good dental hygiene in order to maintain an attractive smile and a healthy mouth. Many people are not, however, as knowledgeable about their pets' dental needs. Pets can suffer from plaque and tartar buildup on their teeth if not properly cared for. This can cause periodontal disease, infection, and eventually tooth loss. Breeders have bred dogs over many years to obtain a certain look or to enhance specific qualities. One of the more significant tradeoffs with this breeding is the propensity for some breeds to have problems with their bone structure. In some dogs this affects the spinal cord. At the least it causes discomfort, but unfortunately, it can cause more severe problems, including complete paralysis. When it occurs it is called intervertebral disk disease (IVD). It is one of the most common diseases causing paralysis of the rear legs in dogs. It is estimated that up to 18% of dachshunds will have this problem. 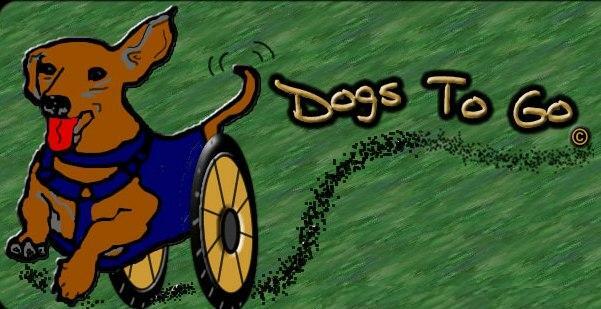 Dodgerslist gathers information on current treatments and alternatives for IVDD. Website information reflects what is commonly recommended by experts in neurology, orthopedic and physical therapy fields. 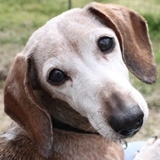 Many Dodger members have extensive experience with IVDD,which 1 in 5 Dachshunds develop. 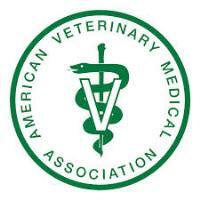 As with any treatment or supplemental program, there is no replacement for good, quality veterinary care. The Dog Food Advisor's approach to evaluating dog food is based upon one very important concept... No dog food can ever be magically better than the ingredients that were used to make it. That's why it's so important for you to know what's actually in your dog's food before you buy it. "Dogs To Go" is a small family owned and operated business. We have been building custom wheelchairs for pets since 1999. Our little dachshund, Penny, suffered a ruptured disc at that time and we realized we would need a cart for her. Unfortunately, the wheelchairs on the market at that time were way out of our price range, so Larry, being the inventive soul that he is, designed a great little cart for Penny. It was simple in design and it allowed her to be independent again. We started out as just two double dapple lovers who wanted to help others who already have, or are considering adopting, a double dapple. 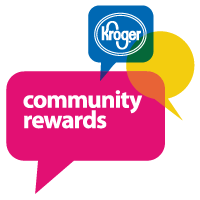 We are now at almost 500 members and still growing. 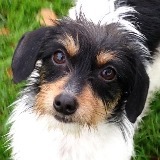 We feel that helping rescues will benefit these dogs who are often overlooked because of their health issues. We're very excited to help educate potential adopters and get these amazing dogs into their perfect forever homes! 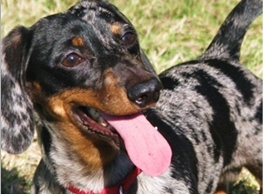 Dapple is a pattern seen in Dachshunds. It is commonly referred to as "Merle" in other breeds of dogs (Collie, Sheltie, Great Dane, Australian Shepherd). 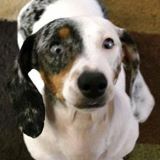 It is important to understand that dapple is NOT a color, it is a pattern. Many breeds of dogs come in a variety of colors and patterns. 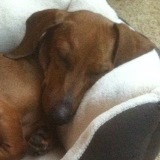 But no breed is as diversified as the Dachshund. 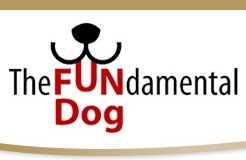 At The Fundamental Dog, you and your dog will discover how much fun training can be - for both ends of the leash. 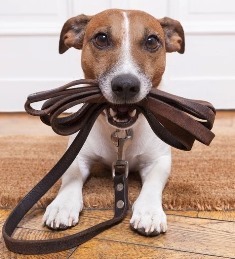 Even troubling behavior issues can be addressed with positive dog training. Whether you're looking for obedience training, puppy classes, or behavior modification, we're here to help - at our place or yours. Passionate loving care for your family members in my home while you're away. I offer 24/7 kennel and crate free services so your fur baby can enjoy people interaction throughout the day. Unlike boarding facilities, where your dog(s) would be locked up from 4 to 6 hours a day alone. Also, pick up & drop off services available, to make your getaway less stressful. Lens Luxation is an inherited condition in many breeds, including the Parson's Russell Terrier, Rat Terrier, Chinese Crested, and many others. 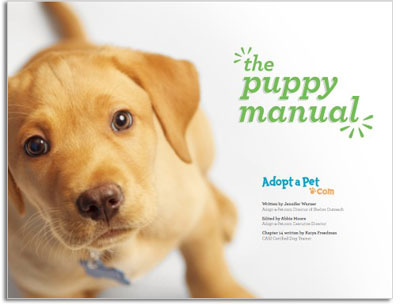 The Merck Veterinary Manual is the single most comprehensive electronic reference for animal care information. It is brought to you as a service of Merck & Co., Inc., providing quality medical information on a not-for-profit basis for more than 100 years, and Merial Limited, dedicated to producing pharmaceutical products and vaccines for livestock, pets, and wildlife. Every year, more than 500,000 pets are affected by fires. 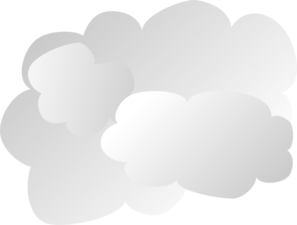 Additionally, nearly 1000 fires are started each year by homeowners' pets. Many of these fires are completely preventable. 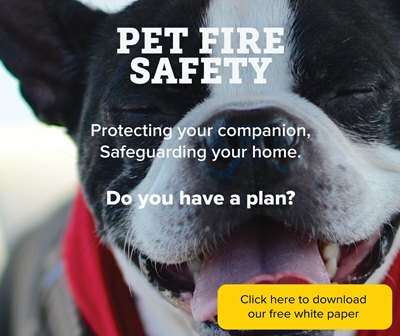 Learn how you can prevent pet-started fires and how to protect your pets during a fire. Our pets take care of us in many capacities. Humans who have a companion animal generally have better cardiovascular health, a decreased likelihood of depression, reduced stress, and more social interactions. Pets have a tangible impact on our overall well-being, but what about them? Sometimes, our pets need the rehabilitation services that humans have access to. It's very important for pool owners to have safety in mind not only for humans but also for their pets and other wild life that could potentially drown in your swimming pool. An estimated 5000 family pets drown in a swimming pool each season, and no one wants that to happen. Here are some ideas for pet pool safety that will prevent you from having to go through such a tragedy. Water safety, particularly pool safety is important for pets just like children. This simple white, hi-tech plastic ramp attaches to the deck of the pool, walled pond, or even most docks and some boats. Animal law overlaps with many traditional areas of the law: family law, torts, criminal law, wills & trusts, probate, constitutional law, and property law. It is rooted in the practical application of statutes, regulations, and case law. Animal law explores fundamental questions about the nature of legal rights and interests, how laws create or establish power imbalances, and how those imbalances impact animals. One of our volunteers demonstrates how to build a canine wheelchair on YouTube. We can help you keep your pets safe and cool this summer. Follow our tips for helping everyone in your family stay healthy and comfortable when the heat is on.